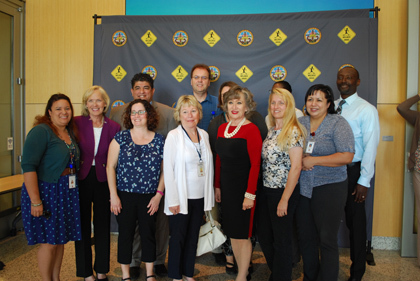 The County celebrated a year’s worth of strides employees took toward better health at the 2015 Wellness Awards and Recognition Ceremony held recently at the County Operations Center. 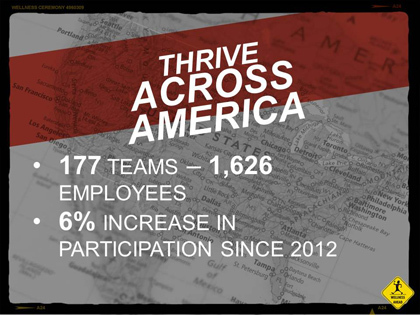 “This is an opportunity for us to show our appreciation for all the marvelous work County employees have been doing in the program, and it also gives us an opportunity to showcase all the great things the wellness program has achieved,” said Employee Wellness Coordinator William Erese. A total of 77 employees received beach cruisers as part of the opportunity drawing for participation in selected Employee Wellness programs throughout the year. To be eligible for the drawing, they had to have taken part in six of the programs offered, including Colorful Choices, Maintain Don’t Gain, Thrive Across America , health and wellness classes, and a Healthy Cooking Demonstrationvideo. The County Wellness Program and its participants had several significant accomplishments in 2015. County employees attended more than 500 free fitness classes. The farmers markets were expanded to additional County worksites with employees buying more than 19,000 pounds of fruit. Employees also took note of their numbers as there was a 23 percent increase in participation in the annual biometric screenings. In addition, the County was named the 2015 Healthiest Company in the mega company category by the San Diego Business Journal.